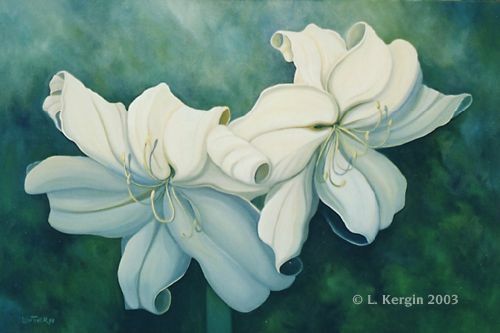 Educated at the Kootenay School of Art in Nelson, B.C., Canada, Lee currently works in the home studio she shares with her husband, Steve Kergin (also an artist), overlooking the ocean in the suburb of Colwood, on the outskirts of Victoria, B.C. 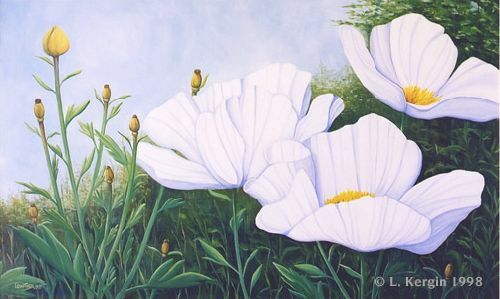 Having begun her career as a landscape artist Lee has gradually gravitated towards her current style personified by large, showy, highly sylized studies of flowers. 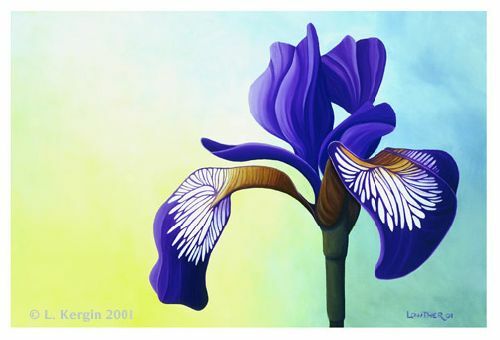 Colour and mood are the real subjects of Lee's paintings though. "I try to capture moods and feelings through the use of colour. 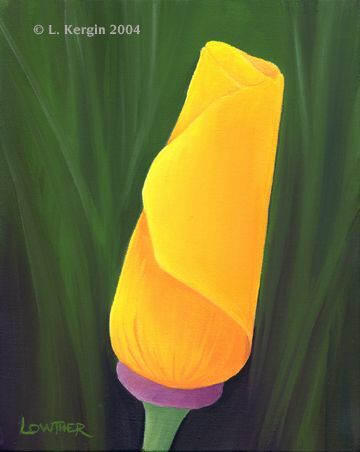 Warm and cool colours have always been used by artists to express contrasting moods and the range of colours found in flowers make them an ideal vehicle for my explorations. In addition the shapes of the blossoms, the foliage and the setting can all be used to enhance an expression of friendship or mystery or just pure joy." "I hope you enjoy looking at my work as much as I enjoy creating it. Thanks for visiting."